A transparent, real-time portfolio of Jason's stocks combined with exceptional educational material and daily lists make this stock picking service one of my favorites and by far the most profitable. Jason Bond is a world class stock trader! Welcome to my honest Jason Bond Picks review that aims to give you everything that you need to know about Jason and his services. This Jason Bond review is written by a real member of his services and I have made real money trading his stock picks. Jason Bond started his stock alerts service, Jason Bond Picks, in 2011 and it has grown in popularity ever since. It is one of the biggest stock trading alerts services in the world with well over 5000 active members. Jason Bond was a school teacher in New York, but he became tired of only making $33,000 a year and struggling to make ends meet. He started stock trading part-time, but he managed to become so good at it that he was able to quit his teaching job and trade stocks full-time. Eventually he was able to start teaching other traders how he was able to make 200% a year trading penny stocks. Jason Bond uses his experience as a teacher to explain to others what exactly it takes to become a millionaire stock trader. He is clear, concise, energetic and passionate about teaching stock trading. In the last few years Jason Bond has made over $1 Million trading stocks. I think he is an honest guy (rare in this field) and really the only thing that annoys me about him is when he gets excited, he screams things like ‘ CHEDDAR BABY YEAAAAH!’. Usually after a huge winning trade. Observing Jason Bond trading stocks is something not to be missed though. Before I get started on this epic Jason Bond Picks Review, please check out my favorite tools and free swing trading course that I have used to make $50,000 trading stocks! My goal in writing this Jason Bond review is to give you a complete overview of my experience with Jason Bond Picks. I want to encourage you to try the strategies that he teaches. The goal of this Jason Bond review is not to sell you a subscription to his stock alerts. By giving you as much information as possible about my experience with Jason, you will be better informed about his products and services. Jason Bond Review – Does Jason Bond Picks Work? Sign-up for Jason Bond Picks FREE Swing Trading DVD Worth $1000. He teaches his entire swing trading strategy for free! This Jason Bond training DVD helps me find winners like $ROX. Does Jason Bond Picks Work? Yes, here is just one example of a recent swing trade Jason Bond has made profits from. Jason Bond is for real. I have personally made money trading his swing trading strategy. Jason Bond has been featured in the mainstream media! I’ve been a member of Jason Bond Picks for 2 years. In this Jason Bond Picks review I’ll outline both the good and the bad. Please don’t miss the many amazing subscriber testimonials at the bottom of this Jason Bond Picks Review! The Jason Bond training program today! First off, I’ve made well over $50,000 from Jason’s alerts. It’s not as easy as it seems, which is why I would recommend reading this full Jason Bond Picks review, and keep in mind my positions tend to be bigger than normal. Each stock alert that Jason Bond gives has a goal of a 5% to 20% gain per trade. But to be successful with Jason Bond Picks, you need to be active, read the material and take your own trading actions based on his advice instead of just blindly following him into a stock trade. Blindly copying stock trades is a very common beginner idea. I did the same thing! But to get the most from any of these stock trading services, you should learn how they trade and copy their strategy, not the individual stock trades. Jason Bond Picks Bonus Offer – $5,000 worth of trading DVDs for FREE! Jason Bond (my millionaire trading mentor) is currently offering a fantastic bonus offer for all traders interested in learning his swing trading strategy. You can now learn his most popular swing trading strategy that makes him $1000+ every day for FREE! Stock Options by Jeff Bishop. This is a limited time offer and I really hope that it is still available as you read this! You can read this Jason Bond review and all the others out there, but the best bet is to just try his swing trading strategy for free and see if it is for you. Learning the techniques and trying them out for yourself will always be better than just reading a Jason Bond review IMO. 2x World Series Champ Jose Canseco Talks About Jason Bond Picks! Jason Bond Picks is probably the only stock trading alerts and education service that has celebrities in the chatroom! Jose Canseco, 2x world series champion trades alongside Jason Bond! Jose has traded stocks for a long time (he even had his own trading firm!) but he joined Jason Bond Picks because he was impressed with Jason Bonds experience trading. Check out his interview below, on his opinions of Jason Bond Picks and what he thinks you can get from joining the service. Jose is a huge fan of the Jason Bond training program. Jose joined Jason Bond’s elite service (Jason Bond Millionaire Roadmap review) to learn from him and the other expert traders in the chatroom. The cool thing about the Millionaire Roadmap is the opportunity to see Jason Bond trading stocks in real-time. You even get to see his screen streamed live. Get Started Now! It’s free! 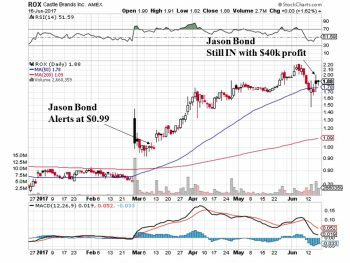 In this comprehensive Jason Bond Picks review, I emphasize that you’ll want to learn WHY Jason Bond is making the trades to get the most out of this service. I did not write this Jason Bond Picks review for any reason other than to share my true success story with you. 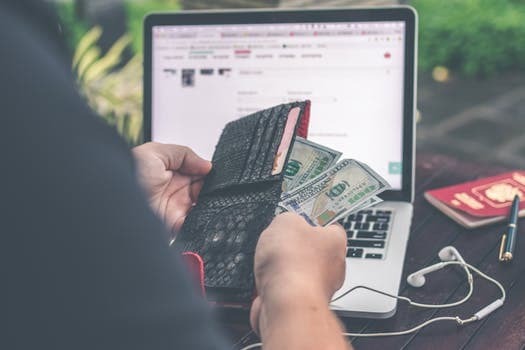 I realize that most people do not want to pay for expensive education services – especially if you are just starting out learning stock trading. Jason Bond offers a limited stock alert service that is 100% free! I highly recommend that you sign-up for his free stock alerts email list below. Follow some of his stock alerts for a few weeks and see if they would have been winners for you! This is what I did before I joined his trading service to make sure that he knew what he was talking about! Needless to say, Jason sent me quite a few great trades from this free email alert service (and still does!). Get The Basics Of Swing Trading HERE! You don’t have to buy a subscription to Jason Bond Picks to learn from his long stock trading experience. You can get a great feel for his stock trading strategy for free! 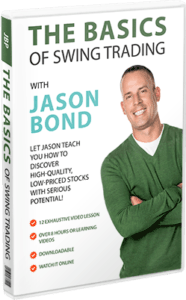 I highly recommend that you check out Jason Bonds DVD, The Basics of Swing Trading. The Basics of Swing Trading DVD is a free resource that teaches you the basics of Jason Bonds swing trading strategy. The DVD is currently available for FREE through my link. You also get a free training webinar from Jason Bond as well! This is a 16 hour in-depth training that shows you how to win at trading from the ground up. Be sure to check out my review of this must have DVD. I have followed Jason Bond Picks alerts for years – his ideas are often the only stocks that I trade. Jason loves to buy stocks that have made strong moves upwards in price and have retraced back to levels that have a high mathematical probability of a bounce in price. These plays are called Fibonacci Retracements and Jason is an expert at them! I wrote all about how Jason and his Student Kyle Dennis use this strategy to make huge amounts of money in the markets. Typically, Jason is not a day trader. He prefers to pick stocks that will be likely to increase in price over a few days or weeks. This is called Swing Trading and it can be extremely profitable! I average about a 70% win rate with the stocks that Jason alerts. I have been trading for years though and I make my own rules based on the price action of a stock. I also just pick the trades that I think have the highest chance of success – I don’t just buy stocks because Jason alerts them. I look at the charts, do my own due diligence and wait for a chance to buy only the best stocks. I often get a better entry price than Jason does! In my opinion, it is really important to be your own boss and to make your own trading decisions – a service like Jason Bond Picks should be treated as a tool, not a service to copy blindly. #1. Real-time text and email alerts. Unlike many resources for traders, Jasons Stock Picks sends you constant updates so that you can keep up with your trading account in real-time. If you are like me and work a job in addition to trading (I manage other businesses on the side), you don’t have time to be constantly searching for the best setups. That’s where Jason Bond comes in. The instant I get an email update, I can choose to place my trade and stay afloat in the constantly shifting market. That being said, sometimes the trades just don’t work out because the market moves so quickly and yes, unpredictably, you should expect to experience some minor losses. That being said, I have found that by following Jason’s advice on the setup, I have been successful nine times out of ten. #2. The chat room. I like to keep this running in the background on my laptop while I’m in the office. That way, I receive alerts and can watch the market even while working on other projects. The chat room is ideal for competitive day traders – if you wait too long, the price will run up too far, and you’ll miss the deal. That being said, it’s a valuable resource for anyone who is interested in learning more from experts and other traders. Here is a video of the premium chat room. Jason Bond discusses his story in more detail and shows you around the premium stock trading chatroom. #3. Weekly webinars and video lessons. Jason provides a level of customer service that is unprecedented in my experience. I have emailed him from time to time with questions from the webinars and he has always responded promptly and helpfully. Alternatively, you can ask questions of him during his weekly webinars, which is a great benefit that’s difficult to find elsewhere! In addition to these weekly sessions, you can also obtain access to the dozens of instructional videos that Jason has posted on his site. They’re all very straightforward and easy to follow, even for those who are new to stock trading. The topics covered range from money management to how to scan the market, while empowering you to feel more confident in your picks. After watching all of these videos, I felt much more confident in my skills. #4. Daily list of picks to keep an eye on. Jason’s website is updated daily with a list of stocks that he feels are worth watching. He analyzes the market using the skills he will show you in videos and webinars, and then posts the results for all of us subscribers to see. I like to check this list early in the morning to get an idea of what the market is likely to be like that day and what stocks are ready to be traded. #5. Jason’s portfolio. It’s rare to find this much transparency anywhere else. You can learn from Jason’s successes as well as his less beneficial investments to determine what is best for you in the future. It’s also great to be able to verify his track record of success. Jason is a very well-established trader and entrepreneur who is both reliable and dedicated to sharing with others what he has learned from his years in trading. You can follow Jason on Twitter. This way Jason will keep you up-to-date on new trades and any upcoming sales for his alert’s services. The cool thing about follow him on twitter is that the Jason Bond trading strategy often involved holding stocks for weeks or months. This means that just by following him on twitter you can often buy the same stocks that he buys and tweets about. Sometimes you can even buy the stocks at a lower price than Jason! Being a subscriber of Jason Bond Picks comes with tons of perks and advantages. That being said, there are a few downsides– and one of them, as with any high-end program, is the cost. This program is not cheap. It’s a fairly serious investment for some who are just getting started and aren’t sure about their dedication to trading. But as they say, you get what you pay for. And in my experience, that rings true in this case. The current price is a few hundred dollars per year, but this can always change. The nice thing is that Jason often runs massive discount sales for his services so always be on the lookout for those! 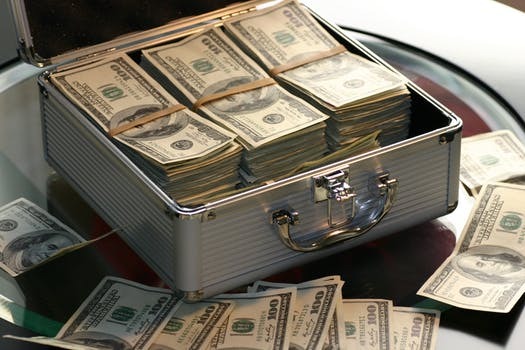 However, if you follow Jason’s advice and legitimately invest a reasonable amount of your time, money, and effort into the program, you will see a great and fairly immediate return on investment. It’s worth the risk – I took the leap a few years ago and have not regretted my initial investment once. The cost of membership paid for itself in my first week just by a single trade on Fitbit (FIT). Truth be told, my favorite part of being a subscriber is benefiting from Jason’s dedication to working one-on-one with people. Although he manages all elements of this service, he still responds directly to emails and direct inquiries, creates helpful videos, and runs weekly webinars. As I mentioned previously, I have truly never experienced this level of customer service and legitimate dedication to helping clients succeed. He’s hugely qualified for the position, according to both his track record and the reviews left on his website. Another testament to his success is that many of his subscribers have been around for years and have grown their investments and skill with his help. This is a good sign that Jason’s strategies are working out for his members. After trying so many other services and seeing a high churn rate, I can safely say that I haven’t seen that here. For the years that I have been subscribed, I see the same familiar traders in the chat room. Many of the students in the Jason Bond trading chatroom have made $10,000’s of dollars. 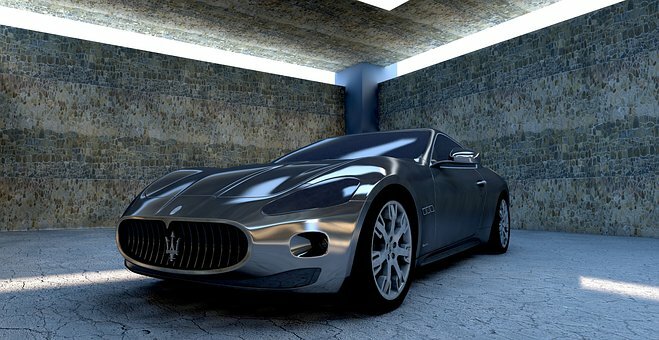 A few have made over $1 Million with the Jason Bond trading methods. From a practical standpoint, Jasons Stock Picks has also reliably and consistently provided me with accurate daily picks. I have benefited a great deal from his daily stock pick list in addition to all of the supplemental educational material that has taught me more about trading in general. The videos in particular are excellent, concise, and easy to follow for both beginners and more experienced traders. The chat room is also a very valuable resource. Even if you are a beginner, this is a friendly environment where one can ask questions and begin to experiment with day trading in a fairly low stakes environment. I would say that the cost for Jason Bonds Alerts (currently the Jason Bond Picks cost is $399 per quarter) is exceptionally good given the value that you get from the service. Jason also runs a lot of sales throughout the year, where you may be able to get a massive discount on the price. You can reduce the Jason Bond Picks cost by subscribing annually or waiting for one of the big sales he has. Jason Bond Picks cost is less than many other services that offer far less. Jason does not offer any discount coupons for his service – honestly, he runs so many 50% sales that he does not need to do any coupons or other discount offers. Jason Bonds most popular trading service is called Jason Bond Swing Trades, currently it costs $399 per quarter. However, Jason also has an amazing mentoring service called the Millionaire Roadmap. I haven’t written an extensive Jason Bond Millionaire Roadmap Review yet, partly because the service keeps changing. It includes subscriptions to all the other RagingBull stock traders’ alerts services. When I do write a Jason Bond Millionaire Roadmap review, I promise you that it will be the most comprehensive review of the service that is available. All of these guys have made millions of dollars as students in the Millionaire Roadmap program! Kyle and Petra now have their own successful stock trading services alongside Jason! The people that claim that the Jason Bond trading strategy is too simple, obviously haven’t implemented it in the same way as these millionaire trading students. Subscribe to this site if you want to read my Jason Bond Millionaire Roadmap Review when it is published. If nothing else, the number of members who have stuck around through the years is a testament to the strength and success of the program. While using this service, I have seen returns on my investments every month and even every week, which is a great testament to the quality of the resources that Jason provides his clients. I have tried almost every kind of service out there over the course of the last several years, and I have failed to find a service that is better than Jason Bond’s. The educational videos and webinars really make the difference for me here- they prove that Jason Bond is committed to each one of his clients and their success. The customer service on the chat room, during the webinars, and over email is truly unbeatable. At the end of the day, you’ll have a hard time finding a better bargain than that which you can get from Jason Bond Picks. The fact of the matter is that if you watched all of the videos and followed along in the chat room for several months, you would gain enough insight and experience to go off on your own. This is far from the average stock picking newsletter that will just tell you which stocks to pick. Jason’s service provides the “why” in addition to the “how” of trading. Ultimately, it is an excellent service for those who want to do more than just blindly trade stocks without understanding how the process works. I hope that you have found this Jason Bond Picks review helpful. Check out Jasons Stock Picks for more info! NEED MORE PROOF? Here are just some of the amazing results Jason Bond Picks members are experiencing NOW! Don’t just take this Jason Bond Picks Review as your only source of evidence that the service is legit! Check out what all of these people are saying in the Jason Bond Picks Review section on Investimonials. Proof that Jason Bond Picks is not a scam! See my REAL trades from Jason’s alerts! I hope that you have found our Jason Bond review and the information about his stock alerts service helpful! This Jason Bond Picks Review found a stock picking service that is world-class. Many of the other Jason Bond reviews have confirmed this. We believe that the Jason Bond training program is one of the best on the market. 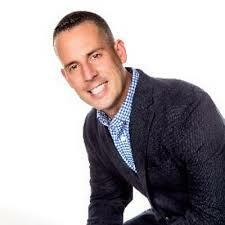 Jason Bond Picks cost is very reasonable given the value of the service. Jason Bond has some of the best stock alerts we have ever tried. Highly recommended! Just curious to know if you work for Jason Bond and/or Kyle? It seems pretty obvious that you are an affiliate to their services by reading your way too positive reviews about them. Hi – nope I do not work for them. I am an affiliate though but I only promote services that I use and have good experiences with – there is no misleading stuff here if that is what you mean.